Celine & Gerard welcome you to the Orée du Val, on their very nice and spacious property, in a village of character in the Seine Valley. Here the landscapes are superb, and you will largely take advantage from the garden, true strong point of this hiring. The studio is spacious, bright, and makes the beautiful place to different spaces. The very successful decor makes it a really warm place. In the garden, you will enjoy the terrace with its relaxing furniture, the gloriette, adorable, or other spaces to play or relax. This large studio, on one level, is composed of a beautiful living room with comfortable lounge, kitchen and dining area, as well as a bedroom that can be detached with a wide curtain (double bed 160x200). Large enclosed garden in share with the owners, sloping, which will make you enjoy up a superb view of the valley. Many areas to settle, away or not according to your desires. Partie pièce de vie du studio avec coin salon confortable, cuisine équipée et coin repas. Lumineux et chaleureux. Accueil chaleureux, sympathique. 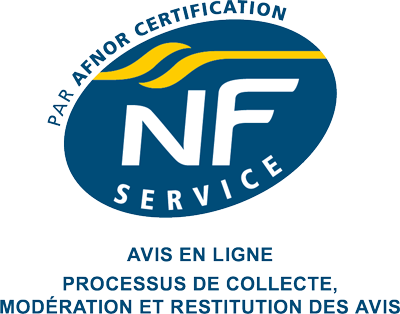 Propriétaires à notre écoute et disponibles. 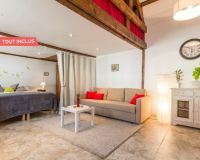 Gîte très confortable et bien agencé. A recommander. Gite au top tant au niveau du confort que sur la propreté. Nous avons passé un séjour agréable et reposant. Tout ça grâce à des propriétaires aux petits soins pour les hôtes.